Have you ever considered progressing your education in the United Kingdom? With a range of Universities to choose from and a vast array of courses and programmes to suit all. You could further develop your English language skills whilst studying and this will be of great benefit to you in the future as English is the most common language on the planet. English qualifications are recognized worldwide and think the future development this will bring to your career. There are various different types of visas for students and you can find more detailed information. 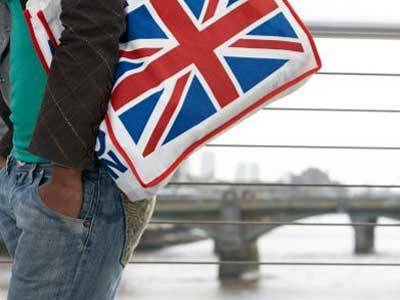 Here you will find information for those wishing to apply from outside of Europe who are looking to undertake education in the UK. You should prepare your application well in advance as approximately 20% of applicants are denied. The process may require you to attend an interview where you will be asked about your educational history, study plans and financial circumstances. Approximately 14,000 student visa applications are made per year. Be prepared and get you application processed in time to begin you studies. Your interview will be in English so be sure to brush up on this beforehand. You may have developed an idea during your time in the UK and to put this into practice you can take part in the Graduate Entrepreneur Scheme. 2000 of these are available and can be applied for from within or outside the UK. This is for graduates who have been offered skilled work with a salary that does not exceed £20,300. Sponsorships are also available on Tier 2 and there are 24,000 employers who hold a Tier 2 License. For those of you taking a PhD or a doctoral qualification, well you can stay on for another year under the extension scheme. Work limitations are relaxed under this scheme and there are a wider range of options available to you. Tier 4 has a point’s scheme and applicant need to achieve 40 points.